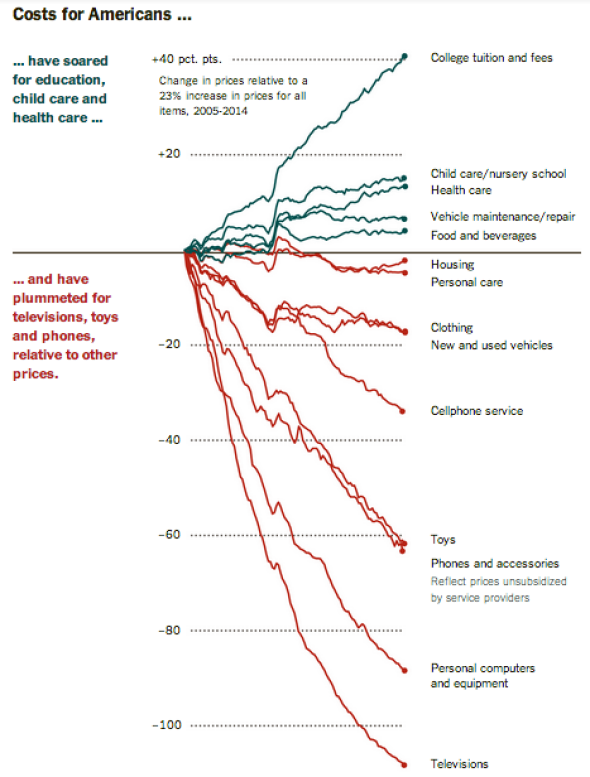 Why poverty is still miserable: Cheap consumer goods don't improve your long-term prospects. It’s like a dozen cheap TVs, when what you really want is a cheap education. How punishing is poverty in 2014? That depends. 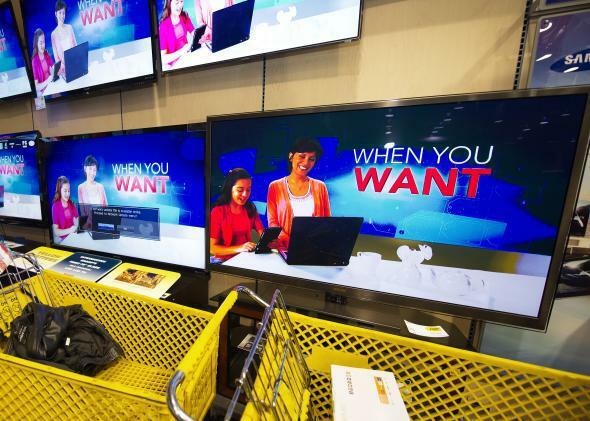 When it comes to consumer goods, low-income families might have it better than ever. The poor can now buy cheap cellphones and televisions that would have seemed like fantastical luxuries to yesteryear’s rich. Microwaves and air conditioners are standard. Food is relatively inexpensive, as is clothing. At the same time, some essentials are receding from the poor’s reach. Education, health care, and child care, I probably don’t need to tell you, are all becoming more expensive by the year. Here’s what makes this trend so treacherous: Prices are rising on the very things that are essential for climbing out of poverty. A college education has become a necessary passport to financial stability. It’s hard to hold a job if you’re chronically ill. Working full-time is difficult if you can’t pay somebody to watch your child. While a high-definition television is nice, it won’t permanently improve your circumstances. And psychology has told us that the stress of financial instability, of not knowing whether you’ll be able to pay your next bill or get enough hours at work, is part of what makes poverty such a horrible experience. Humans also tend to judge their experiences relative to their immediate surroundings, so the fact that the poor are materially better off than during the Carter era doesn’t offer them much personal solace. Tiffany Beroid, a 29-year-old mother who works at a Walmart in Laurel, Md., said she works part time, rather than full time, because she and her husband could not otherwise afford child care. Their incomes already suffered when her doctors told her to stay off her feet during the late stages of her pregnancy, and she said Walmart would not accommodate her with a desk job. Of course, the government provides help with some of these essentials. Medicaid isn’t particularly generous or easily available in every state, but thanks to health care reform, it’s become more so in much of the country. There are Pell grants and financial aid available to needy kids who want to attend college. The TANF program—aka post-Clinton welfare—provides child care to help single mothers get to work. But none of that changes the fact that, fundamentally, the economy is moving in a direction that will leave the poor in a deeper hole. Decency says we should help dig them out of it.